General Motors has been mixing up its design department as of recent, with the latest move being Bryan Nesbitt’s naming as global head of design for the Buick brand. After four years heading GM’s international operations, and heading the Buick China design team, Nesbitt will return to the U.S. to define broader design goals for Buick globally. “The leadership structure continues to emphasize each of our global brands,” a GM spokesman told Automotive News. Nesbitt, most well known for penning the Chrysler PT Cruiser, joined General Motors in 2001 and has led teams that have gone on to design the Saturn Aura, Buick Enclave, Cadillac ATS and Cadillac Escalade. He replaces Andrew Smith, who has led Buick and Cadillac global design since 2013. 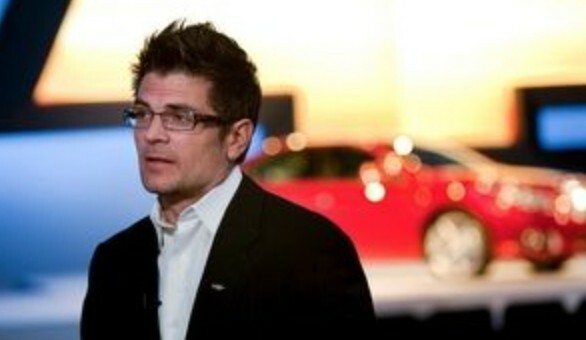 Smith will remain in charge of Cadillac global design, and should be a busy man. Cadillac plans to introduce eight new vehicles by 2020. Duncan Aldred, Vice President of the Buick brand, has said there is a lot left to do with Buick in the U.S. This means stronger design alliances with Opel, as Buick continues to round out its U.S. portfolio, and cover niches where GM sees fit. We’re placing faith in Nesbitt. Buick’s lineup has gone a bit stale in the recent year, and sales have reflected this. A U.S.-spec Buick Envision should help, and we eagerly await news on a possible production Buick Avenir. If he is responsible for all the “Chinese versions” of cars we sell here, he should stay in China. They need to bring Opel’s designer over.